The Deka Intimidator's tight-pack plate and separator absorbed glass mat construction provides added power for resistance against hard-hitting stereo systems, competitive racing or off-road wear and tear vibration. 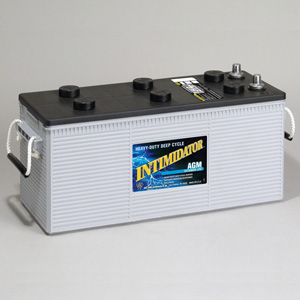 Along with a more efficient design, the Deka Intimidator has the same case/cover configuration used by original equipment manufacturers for an easier fit into more applications. No elaborate marketing gimmicks or hold-down retrofits, just decades of experience to provide a better fit, more power and long life.